Are you in the market to buy a home and considering building one on a lot of your choice? Building gives buyers way more freedom—along with many other financial benefits. At RounTrey, we welcome all new families and homebuyers that are looking to join an exceptional community. We are a Midlothian neighborhood that defies the stigmas of new developments. All our homes have character and charm and built by some of the finest builders in the Richmond area. New vs. used is a common question that arises with most big purchases. But your home, a built property has countless benefits. One of the main risks with buying an older home is the wear and tear that might not be noticeable during the inspection. There could have been previous water damage or plumbing issues, or your HVAC system could go out within a few years of purchasing your home. All these risks are gone with a new build. Repairs to a new home are non-existent and your home will be move-in ready. You can skip the hassle of replacing carpets, repainting, and replacing old appliances. Don’t forget to ask your builder about warranties! 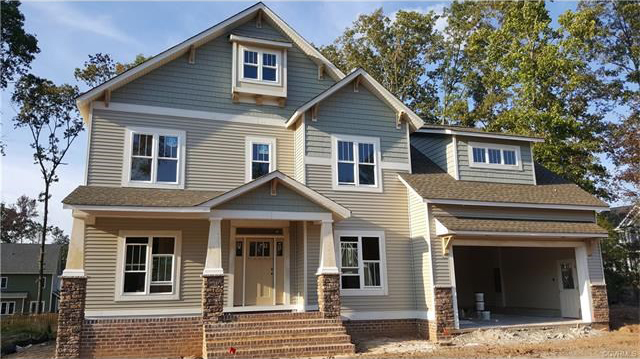 New homes in RounTrey, built with more energy efficient features. Most new appliances are energy efficient as well, saving you money on utility bills. Getting to know your builder is an important part of the buying process. Most builders invite homeowners involvement in the design process. This gives you room to customize your build, and create your dream home. When your time comes to buy a new home in Midlothian, consider RounTrey as your community of choice. We would love to have you! Check out our available homes at www.rountreyonline.com/available-homes/and schedule a tour.